The small class sizes and friendly atmosphere at Arab Academy naturally leads to friendships between our teachers and study abroad students. Often the two groups enjoy socializing outside of class time. 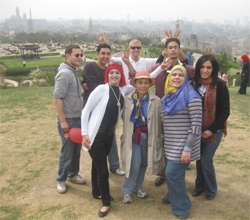 A number of teachers and students decided to go to al Azhar Park together. 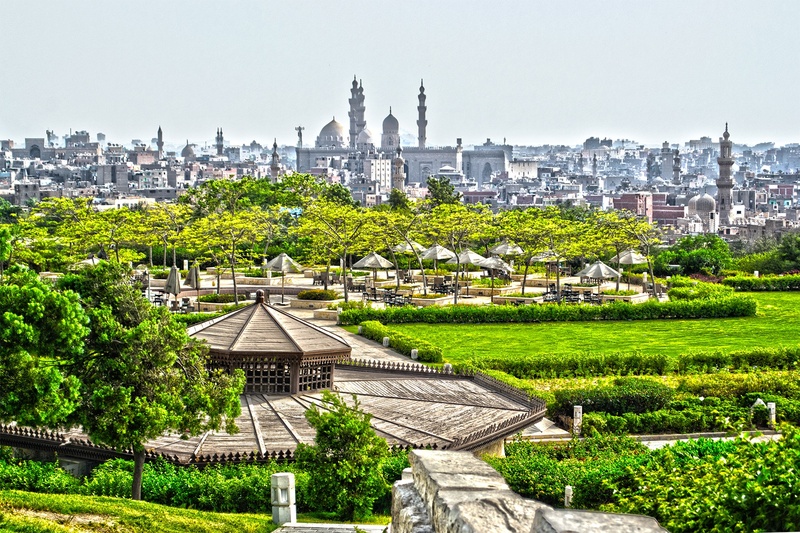 Al Azhar Park is one of Cairo’s success stories. 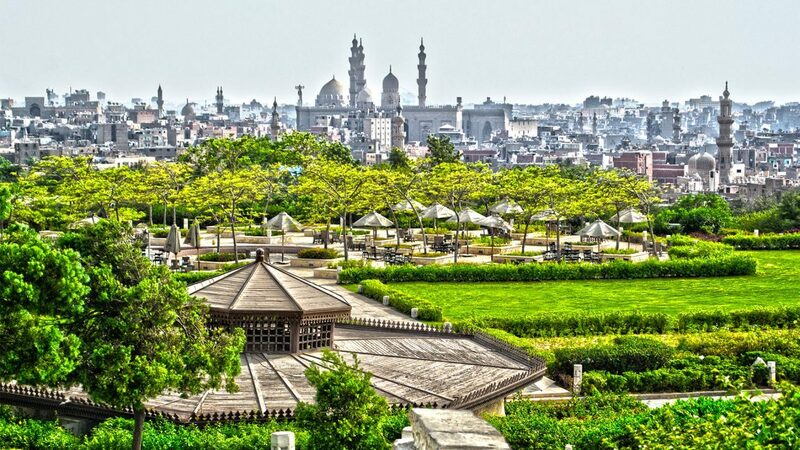 For 500 years, it was a garbage dump covering 74 acres in the heart of Islamic Cairo. Then the Aga Khan Trust for Culture decided to transform it into a beautiful green space that commands a panoramic view of the city of Cairo. During the building of the park, archaeologists found a wall built 800 years ago by Salah al-Din that they restored. In this city of 20 million, a park such as this provides a much-needed breathing space for citizens and visitors to enjoy the great outdoors. The weather was lovely for the outing and the teachers and students enjoyed speaking Arabic, seeing the historical sites and learning and playing some traditional Egyptian games.